Biljana Radojevic, November 2015 Floods and droughts are the greatest water-related natural disasters known to mankind – their human, material and ecological cost can be devastating to sustainable development. 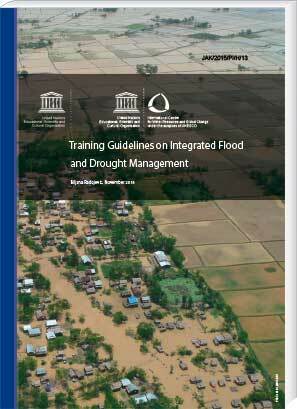 Countries have developed integrated flood and drought management plans and policies. Flood and drought risks are defined based on the vulnerability of the affected areas, therefore preparedness and anticipation are the key actions to limit hazard risk. Preparedness plans are developed on the basis of regional climate, economic, and social conditions. These guidelines on integrated flood and drought management aim at providing all necessary elements needed for a successful flood and drought management at the country level, particularly for least developed countries. Best practice of different countries is an essential component of these guidelines.